Thank you to everyone who attended our 2018 Annual Meeting on Tuesday, October 23 at the Capital City Club in Columbia, SC. 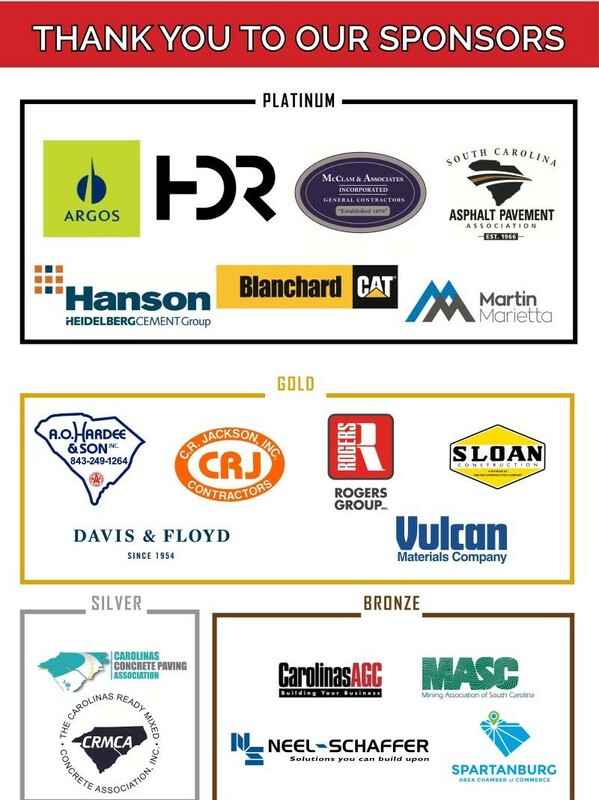 We would also like to extend a big THANK YOU to our generous sponsors because without your support, this event would not have been possible. This year’s annual meeting served as a forum to bring together our state transportation officials as well as representatives from business advocacy organizations from both the state and national levels to discuss progress, trends, and challenges. Secretary of Transportation Christy Hall provided a great overview of the progress that has been made over the past year and how the agency is working to strategically tackle infrastructure issues. Carolyn Kramer (American Road & Transportation Builders Association) provided some interesting data and insights on how other states are addressing infrastructure funding, the impacts these efforts have on elections, as well as nationwide trends. SCDOT Commissioner Robby Robbins clarified the role of the SCDOT Commission and improved awareness about the working relationship between the SCDOT Commission and the leadership of SCDOT. Jake Cashion led the NC Chamber’s 2015 legislative campaign to successfully pass the state’s first comprehensive funding and reform bill since 1989. He addressed the benefits and challenges that come post-legislative success and how North Carolina is continuing to make infrastructure a priority. 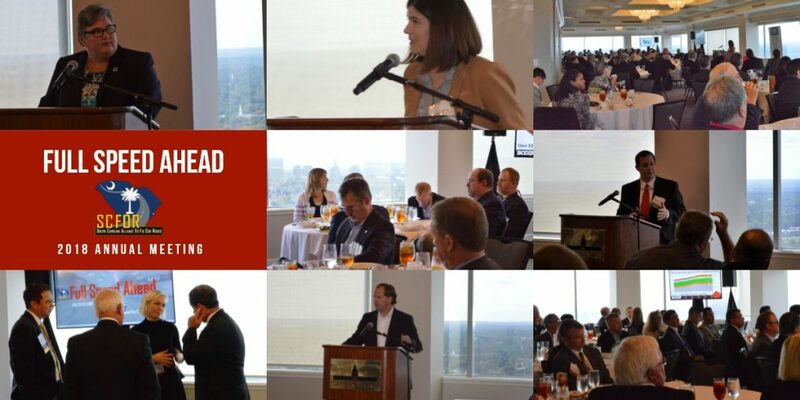 Based on the presentations, it is clear that South Carolina is making progress and SCFOR looks forward to working with transportation officials and the legislature in the coming years to keep the state moving forward – full speed ahead!